"AAU" redirects here. For the amateur sports organization, see Amateur Athletic Union. The Association of American Universities (AAU) is a group of the leading research and education universities. Its members are 59 universities in the United States (both public and private) and two universities in Canada. 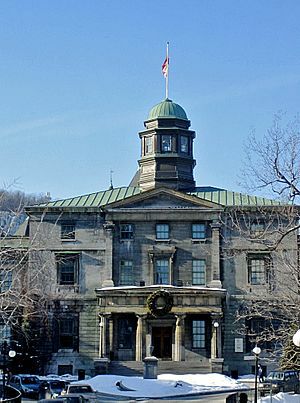 The Arts building of McGill University. 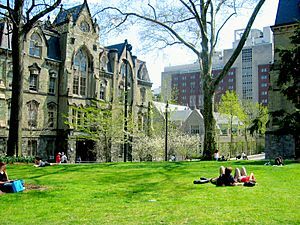 A spring day, University of Pennsylvania. Association of American Universities Facts for Kids. Kiddle Encyclopedia.